Look how clear the moon appears on this winter morning. I was having breakfast one winter day when I stepped out onto our deck and took this picture. The moon was setting just as the sun was rising. The air was crisp and clear as only can be experienced on a brisk winter morning. With lambs due soon, this day was a welcome relief from our normal rains. I used it to look over the sheep, sort, and plan for the future. Then I worked the dogs on the sheep. Please check out my dogs, I have an excellent selection of young dogs. From time to time I have or know of other pups available. Some say our back sides have the indents formed by the seats while on the tractors and horses from our youth. The shape came honestly after long hours in the tractor seat or on horseback while working the farm and ranches the Machado's grew up on and around, being taught by our family members, much as our forefathers had been taught by their family members before them. Generations working together on the farm is a goal the Machado's carry into their home. Each took the love of the land and lifestyle into their adulthood. 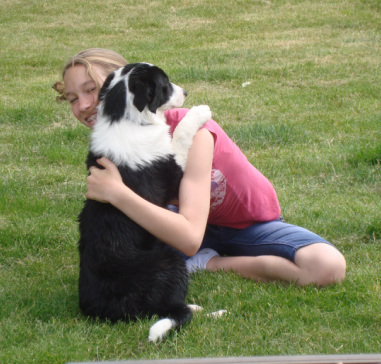 Part of their life plan is working together raising livestock, training and developing quality, talented border collies, and developing a network of extended friends and family like each had grown up knowing. A young dog with his owner after playing with her while she practiced her soccer moves. Shotgun and his baby. 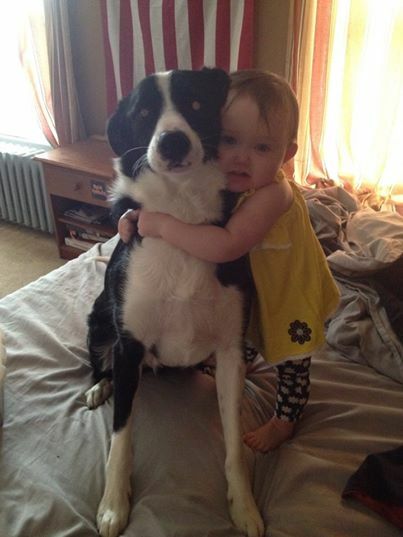 Each day this child wakes from her nap and if Shotgun has not been by her side she goes looking for him, giving him a hug. She loves this dog to pieces. Shotgun now lives on the East Coast far, far away from us, yet we still are in contact with his owners after many years. along with other livestock on our small farm. We do not breed for any one color, do not cull on spots, markings, or other show based traits as our dogs are working dogs for working situations. 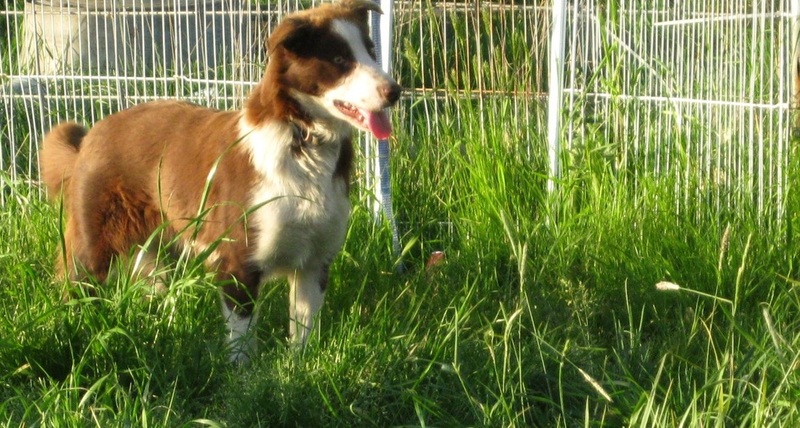 Border Collies were and are a breed to help a person work their livestock to the point the dogs are nearly another hired hand for their owner. These dogs who do not require overtime pay, health plans, or vacations. This breed of dog does require attention, devotion, and a job. We breed for personality, work ethic, drive, and ability. 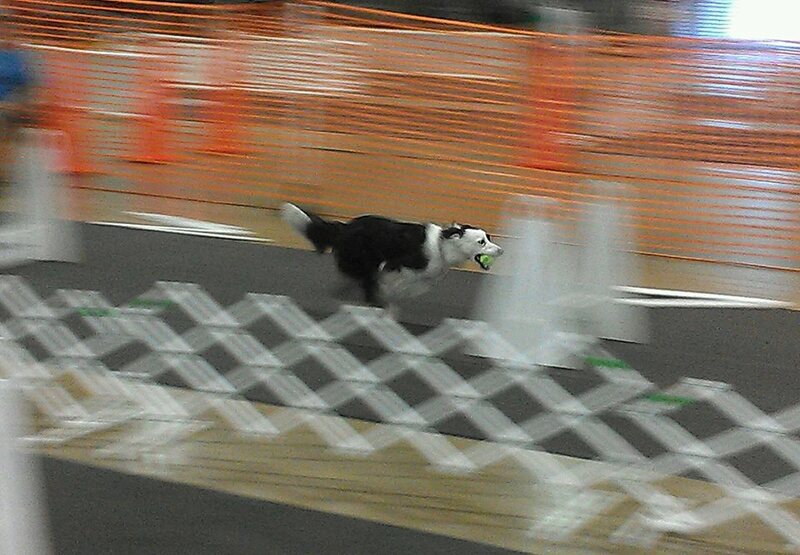 A Border Collie is a smart energetic dog that can be hole digging, kennel climbing, fence clearing in a single bound, prey driven dog. This breed can be blue, golden, or brown eyed, black and white, red and white, red or black merle, tri, and many coat colors in between. We strive to raise dogs that when you bring livestock into their world the dog will give his or her all to please you while working their heart out with the livestock.